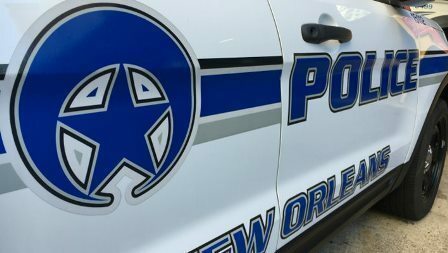 NEW ORLEANS – Effective today (May 1), NOPD will be tracking false alarm calls and enforcing penalties on repeat offenders, in an effort to reduce the city’s false alarm rate from automated alarm systems. In 2015 the city approved a false alarm reduction ordinance aimed at minimizing the overall number of false alarm calls requiring police response. The ordinance requires businesses and residents to pay a fine for every false alarm call beginning with the second offense. It is designed to generate efficient police services and keep officers on the streets and available for higher priority calls and crime reduction efforts. The City has contracted with Public Safety Corporation, a Maryland-based alarm monitoring service. All Orleans Parish alarm users are required to register under the law. This includes all private residences and business locations within Orleans Parish. Online registration is now available at www.crywolfservices.com/neworleansla. Last year approximately 98.9 percent of all alarm calls in New Orleans were false alarms. NOPD officers responded to nearly 40,100 dispatched automatic alarm calls across the city, which averages to 110 calls per day. Of the 40,100 dispatched calls, 39,643 were false alarms. Officers can spend anywhere from 20 minutes to as long as an hour responding and clearing alarm calls. After being dispatched to the scene, police must clear the building and wait for a business representative to arrive. Police are often called to the same business multiple times in one night due to faulty alarm systems. False alarms are caused by a variety of factors, including employee error, environment, improper code, power outages, animals and equipment malfunctions. By enforcing a fine system, police hope to provide an incentive for businesses and residents to properly use and maintain their alarms. Under the ordinance, the alarm system user will get “four strikes” annually before service is suspended. There is no fine imposed for the first false alarm. Fines start at $75 for the second offense and $150 for the third offense and the fourth offense. A notice of suspension will then be issued by certified mail. The suspension of police response to the alarm user’s address will begin fifteen days after the receipt of the notice of suspension unless a written appeal of the suspension is made to the Superintendent. The ordinance mandates suspension after the fourth false alarm call. Suspension means officers won’t respond to calls at businesses or residences placed on suspension until the property owner becomes compliant by repairing the faulty alarm. NOPD will respond to 911 calls from the address but not alarm calls. If an assessed false alarm fine has not been paid within 30 days of the date the notice was mailed and no appeal has been filed, the alarm system user will be assessed a late fee of $25 and mailed a notice by certified mail. If payment is not received within 10 days after the late notice is received, the alarm system user will be liable for a fine of an additional $100 and the delinquent payment may result in a notice of suspension of police response to the address. Additional fines may be assessed to alarm system monitoring companies and alarm system users if false alarms are reported during the suspension period. At the end of a calendar year the false alarm count for each address will revert to zero if all fines have been paid. The City of New Orleans has contracted with Public Safety Corporation, a Maryland-based alarm monitoring service developed by AOT Public Safety Corporation. Services provided by the company will be free to the city and the city will receive a percentage of the fines paid by repeat offenders. All Orleans Parish alarm users are required to register under the law. This includes all private residences and business locations within Orleans Parish. Online registration will be available beginning May 1. Click here to read the entire False Alarm Ordinance.